Below you can see the cover variants of IDW’s Donald Duck #1 and Mickey Mouse #1 sold at San Diego comic-con. As you might spot, they had a fun touch. One is a sequel to the other and together they make tiny gag story. 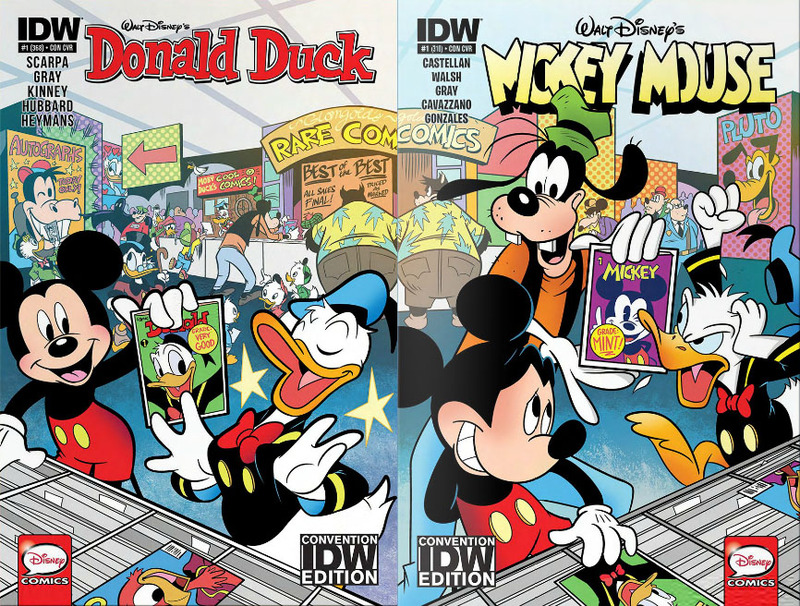 You can see Goofy in the background of the first cover where he finds Mickey #1 at Glomgold’s Rare Comics. This got me thinking about other cases like that. 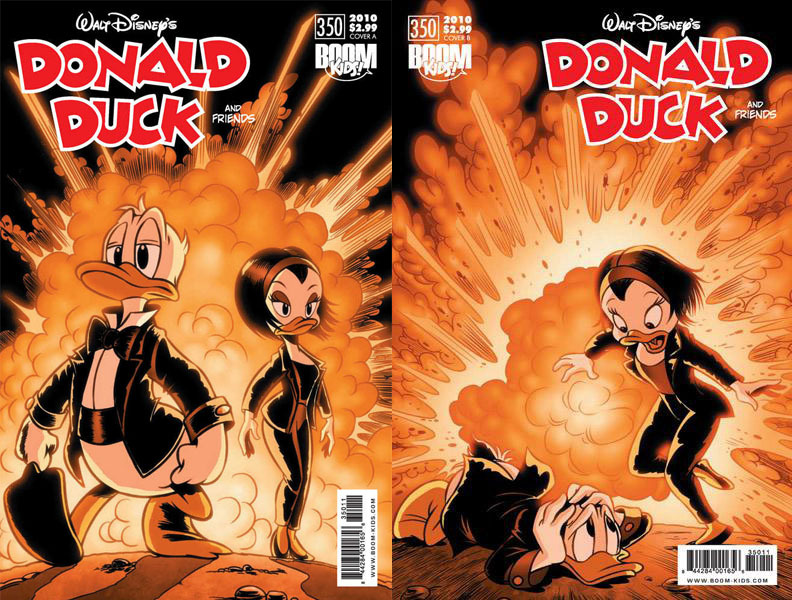 I remember two covers from the BOOM! run of Donald Duck. I’m not sure if they were intended as a sequence of events, but I like to think of them as that (they are a lot more fun that way). 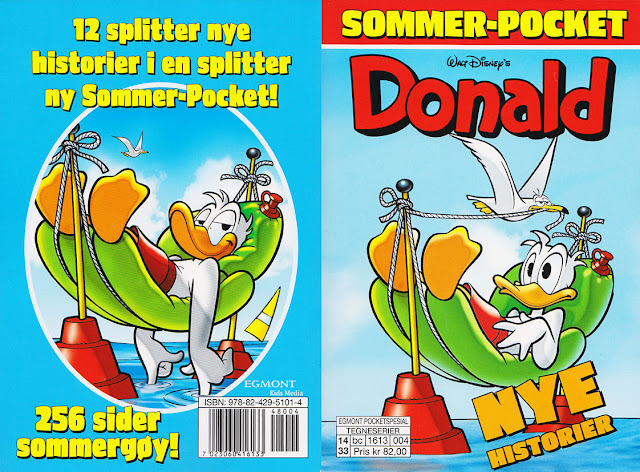 Last year a "summer pocket" was published in Norway, but they got the cover gag a bit backwards. 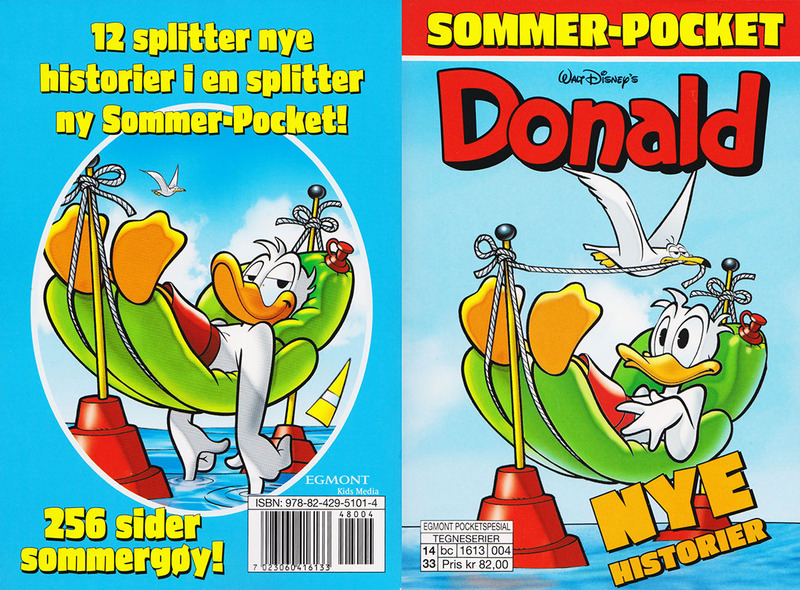 On the back cover you can see Donald relaxing and a seagull in the background. On the front cover the same seagull is about to send Donald swimming..